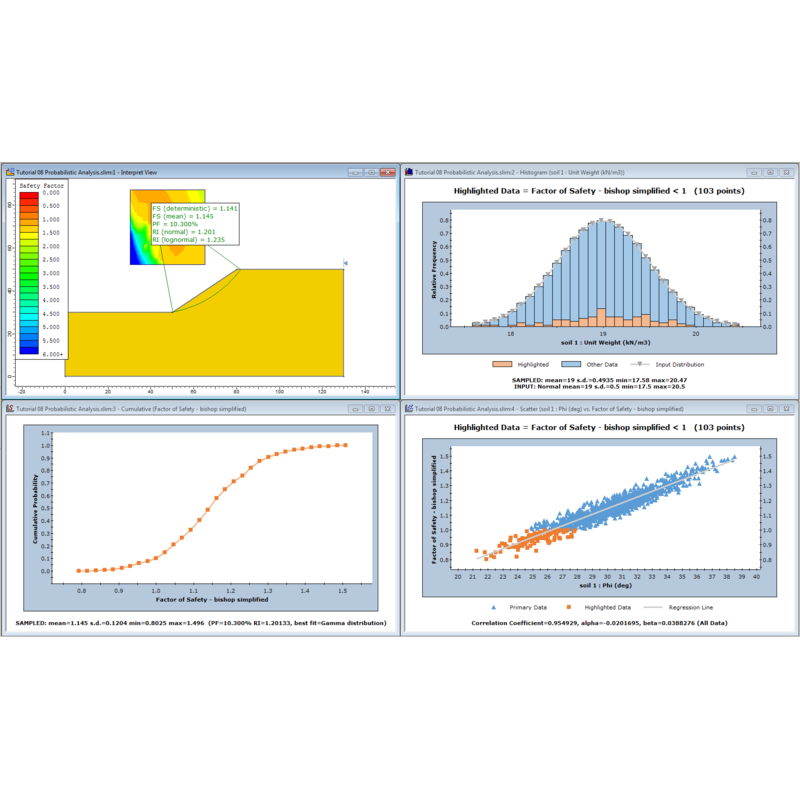 Slide2 is a powerful, user-friendly, 2D slope stability analysis program using limit equilibrium method. Slide2 can be used for all types of soil and rock slopes, embankments, earth dams, and retaining walls. Slide2 includes built-in finite element groundwater seepage analysis, probabilistic analysis, multi-scenario modeling, and support design. Slide2 (formerly “Slide”) is a 2D slope stability program for evaluating the safety factor or probability of failure, of circular and non-circular failure surfaces in soil or rock slopes. Slide2 is simple to use, and yet complex models can be created and analyzed quickly and easily. External loading, groundwater and support can all be modeled in a variety of ways. Slide2 analyzes the stability of slip surfaces using vertical slice or non-vertical slice limit equilibrium methods like Bishop, Janbu, Spencer, and Sarma, among others. 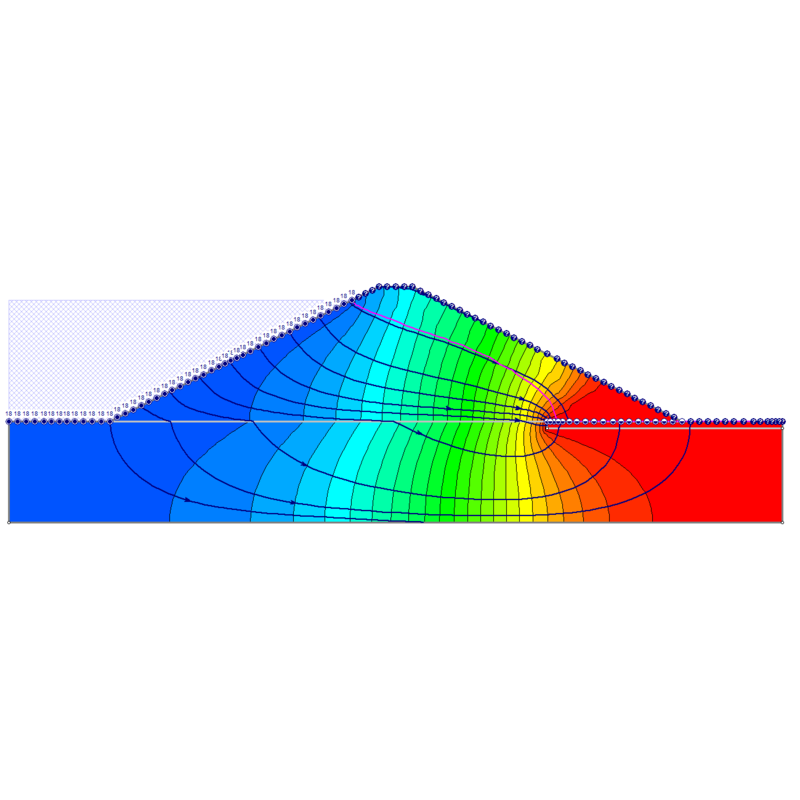 Individual slip surfaces can be analyzed, or search methods can be applied to locate the critical slip surface for a given slope. Users can also carry out deterministic (safety factor) or probabilistic (probability of failure) analyses. 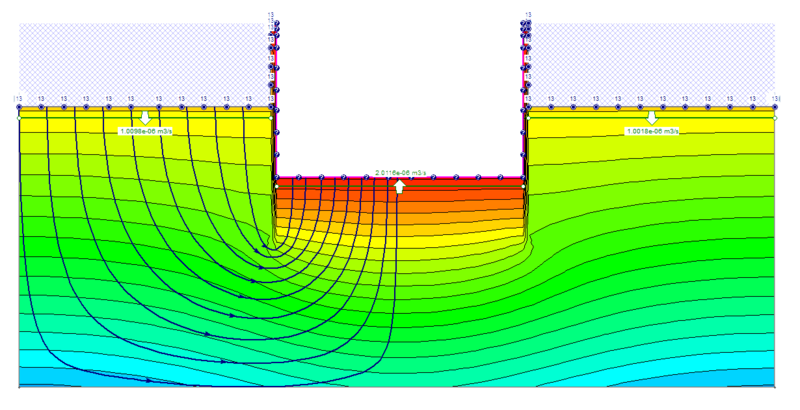 Finite element groundwater (seepage) analysis, for steady state or transient conditions, is built right into Slide2. Slide2 also has extensive probabilistic modeling and analysis features. Nearly all model input parameters can be defined as random variables, so that a probability of failure or reliability index may be calculated. Sensitivity Analysis can also be carried out. See the Probabilistic Analysis Overview topic for more information. Create and edit complex model geometry with ease. Over a dozen material strength models for soil and rock (e.g. Anisotropic, Generalized Hoek-Brown, SHANSEP). Flexible geometry import options from various file formats, including DXF, RS2, Slide3, and many more. Slide2 exceeds expectations with built-in finite element groundwater seepage analysis that comes standard with your license. Within Slide2, you can carry out seepage analyses for saturated/unsaturated, steady state or transient flow conditions. The seepage analysis feature can be used independently or in conjunction with slope stability analysis. 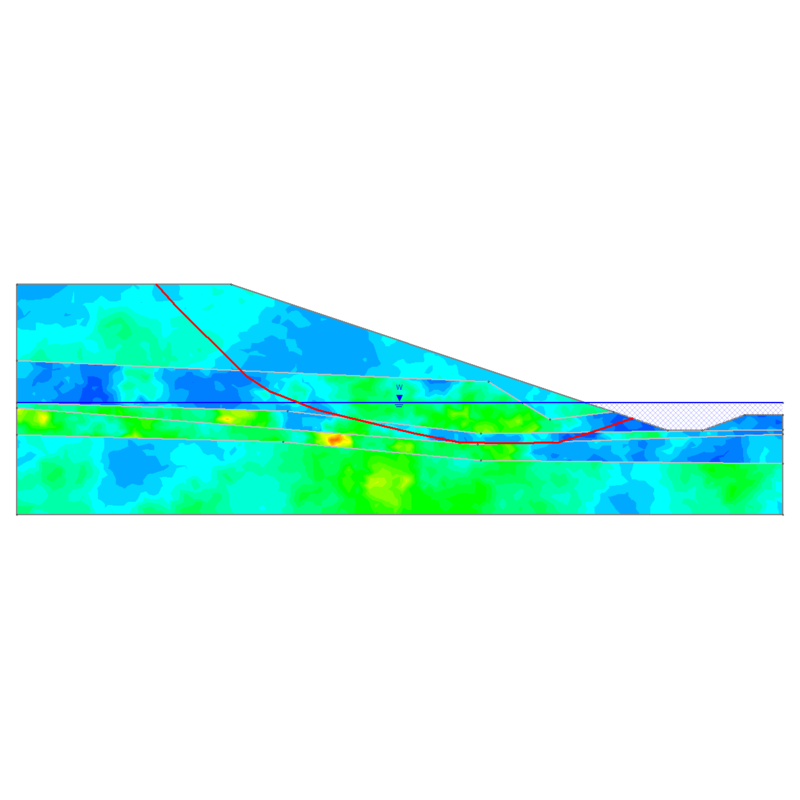 Slide2 contains integrated groundwater analysis capabilities for calculating pore pressures for slope stability analysis. Gone are the days of analyzing groundwater separately and worrying about importing results. Since the groundwater modeler, analysis, and data interpretation are fully integrated into Slide2, you’ll build just one model. The data from the slope stability and groundwater analysis are always synchronized. If all you need is groundwater analysis, you’re in luck. 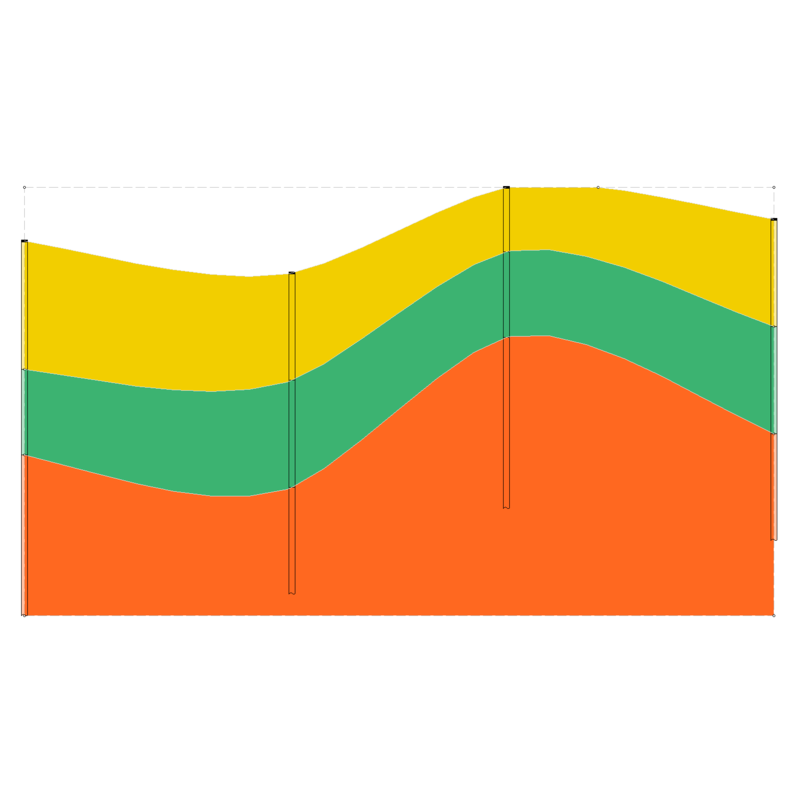 The Groundwater Seepage Analysis module in Slide2 is completely self-contained and can be used entirely independently of the slope stability functionality of Slide2. Probabilistic analysis allows for the assignment of statistical distributions to any input parameter, advanced correlation of parameters, and spatial variability analysis. 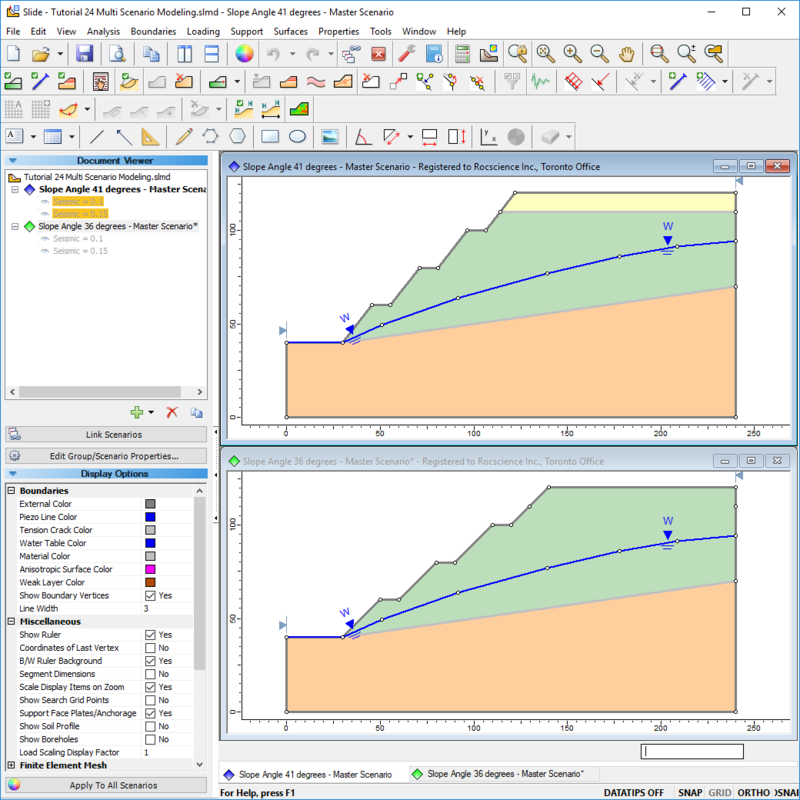 Slide2 includes extensive Probabilistic Analysis capabilities for the statistical analysis of slope stability using Monte Carlo or Latin Hypercube simulation techniques. Virtually any input parameter in the model can be defined as a random variable. Probabilistic analyses can also be used for performing a back analysis to determine material properties or groundwater conditions. If you have a slope that has already failed, you can use the failure geometry and the implicit factor of safety to determine material properties or groundwater conditions. 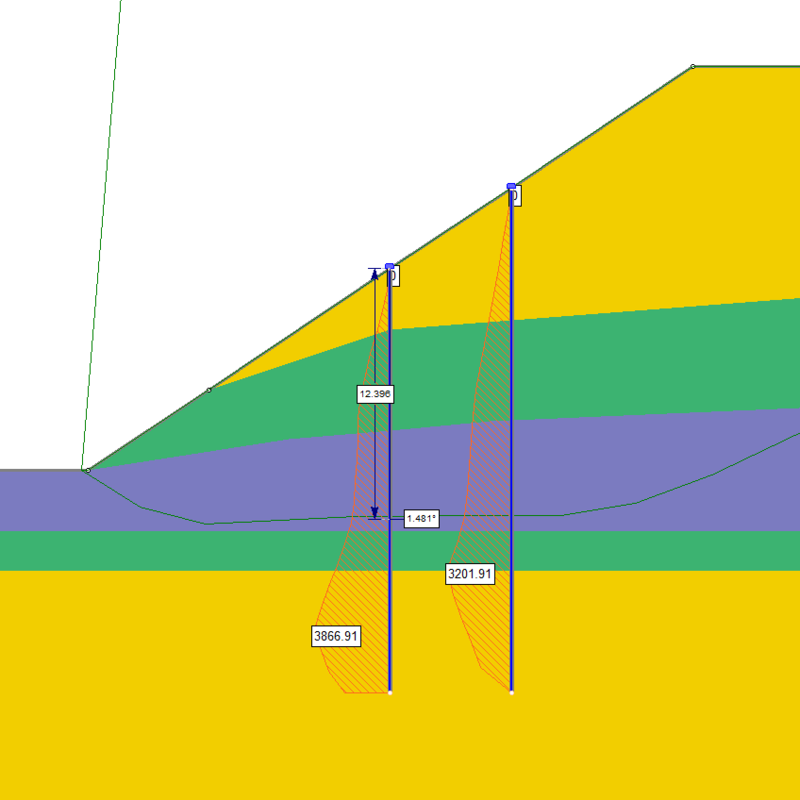 Whether your current work requires you to perform probabilistic analysis or you simply want more confidence in your design, performing a probabilistic analysis will only improve your slope stability analyses. Best of all, probabilistic results can be easily exported to Excel. Version 2018 also comes with spatial variability analysis, allowing you to easily account for variability within each material. For more details on Probabilistic Analysis, including the Monte Carlo and Latin Hypercube methods, statistic distributions, spatial variability, and the use of random variables, visit the Online Help. Slide2 employs an efficient slip surface search method known as Surface Altering (SA) optimization. SA is a powerful tool to yield lower factors of safety by modifying geometry of a given slip surface. This option has been shown to be much faster (10 to 15 times) than the Monte Carlo algorithm for most cases and is the new default search optimization method for non-circular slip surfaces.